Follow along and create the "Cherished Birch" painting shown here! Click the Video Instructions tab below to watch this Paint with Plaid paint-along video—follow along to paint this piece in around an hour with us! Folkart ® Brush Sets - Detail Brush Set, 10 pc. 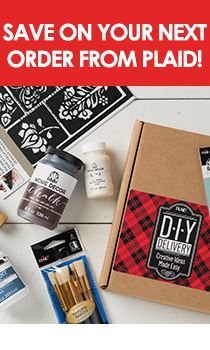 Did you miss us on March 2, 2018 at 7:30pm ET for our last Paint with Plaid Party? No worries, as you can watch it below!